QotW - Why does my nose run when it's cold? 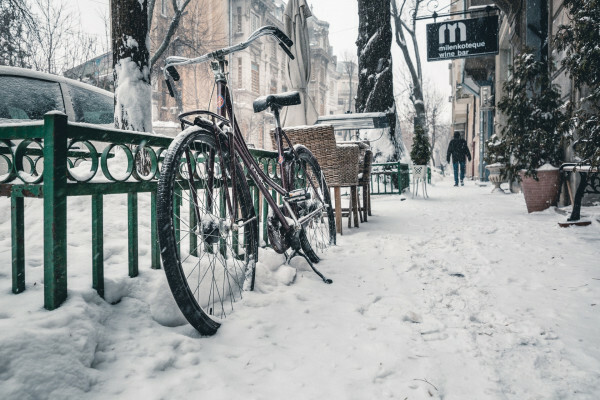 "When I cycle my bike in cold weather, my nose runs. It doesn't happen in warm weather. So why is this, and is there anything I can do to help with it?" One user thought it might have something to do with diet, saying: dairy can cause more mucus; try consuming less and see if that helps. But that might be a myth. Neil - This common condition our cyclist is describing is known as ‘skier’s nose’ or ‘cold induced rhinorrhea.’ Rhinorrhea is the medical term for a runny nose and you may be more likely to suffer from this if you have hay fever or asthma. The nose is like an air conditioning unit for the lungs. This involves heating and humidifying the air that we breathe as well as filtering out any impurities. Neil - This cold dry air requires a greater amount of heating and humidification to protect the lungs. The blood vessels in the nose expand to increase the surface area for heating which is why our noses feel blocked and the mucus glands lining the nose produce more runny mucus for humidification; hence that snotty drip. The second factor is that the air that we exhale is warm and moist. When this saturated humid air hits the cold temperatures towards the nostril, water condenses and drips out of the nose. The effect is like steam condensing on a cold bathroom window. Izzie - So what can be done to prevent this nasal niggling short of becoming a dry nose couch potato or relocating with Mark Cavendish to somewhere warm for winter training? Neil - Simple measures include carrying industrial quantities of tissues or protecting the nose with a scarf or buff. The latter not only results in less running but also collects any unwanted drips. Afterall, the nose is capable of producing a pint of snot per day. Certain types of medication may also be beneficial if the rhinorrhea is particularly troublesome. These include nasal decongestants that limit the blood vessels’ dilation and other medicines that reduce the amount of mucus that’s trying to escape from your nose. It is important to point out however that their use should only ever be for short periods of time as long term use can result in unwanted side effects. If someday we manage to travel to another planet and discovered aliens, what is the likelihood that we could eat them? Previous QotW - Are aliens edible? Next Do underwater animals need special protection from the water? How can I stop a runny nose? Rubber Fridge - Why elastic bands get cooler as they shrink!